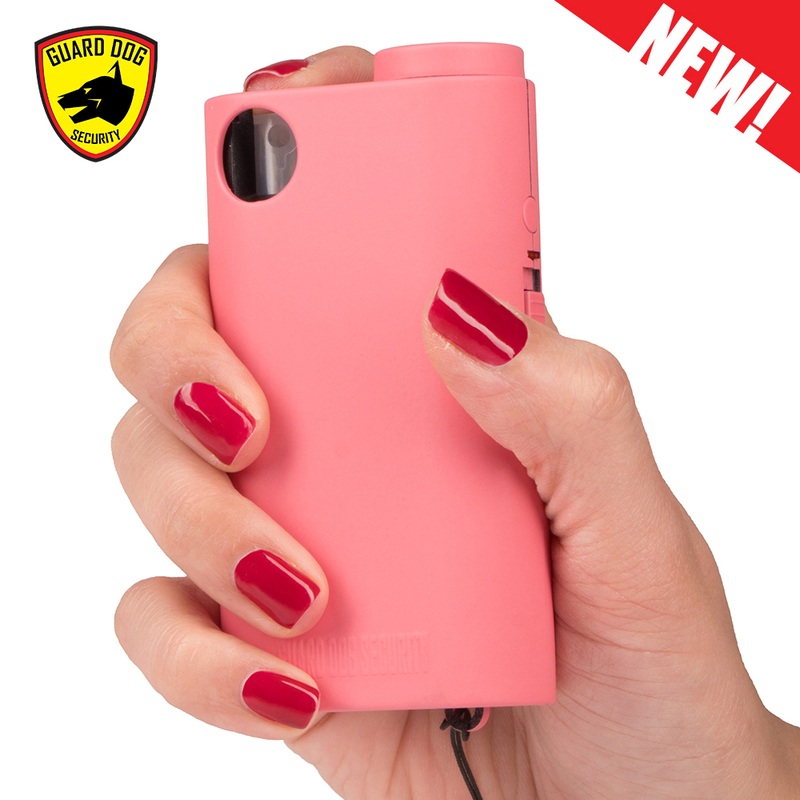 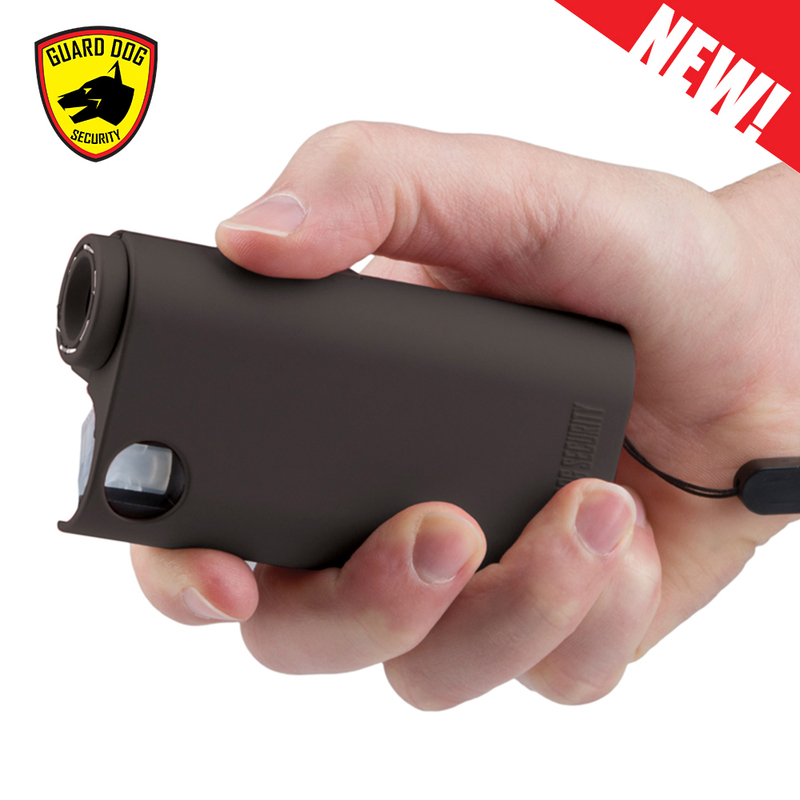 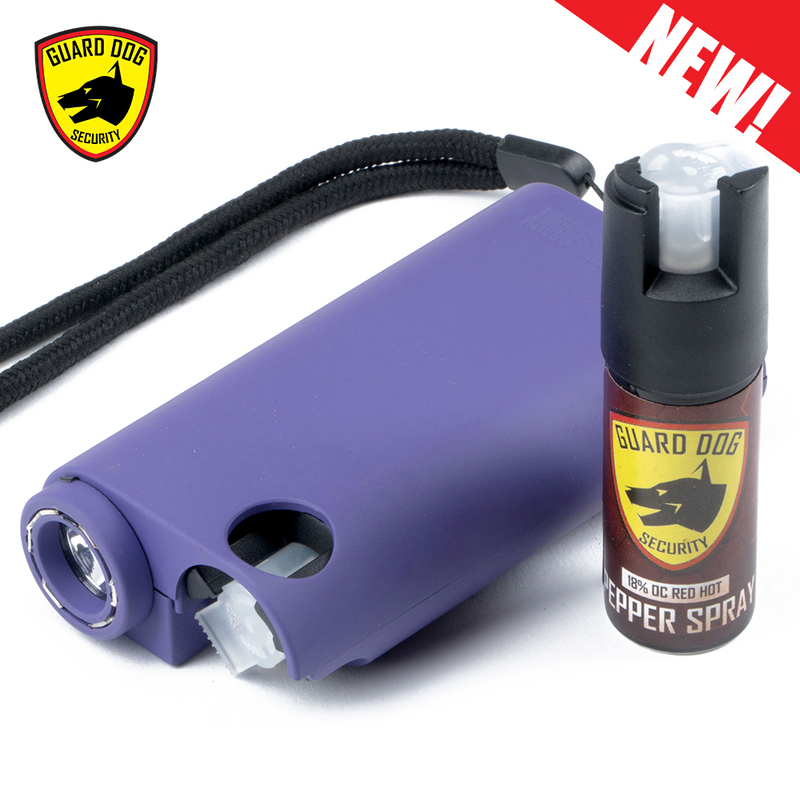 Guard Dog Security’s Olympian presents the world’s first and only stun gun, flash light and pepper spray in one compact, hand-held design. 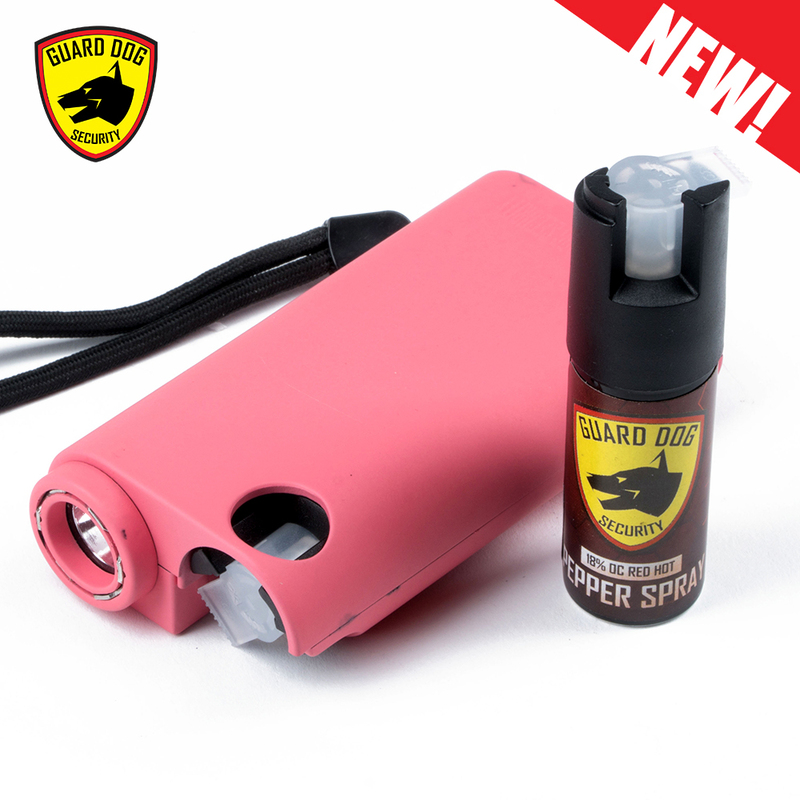 Guard Dog Security’s Olympian presents the world’s first and only stun gun, flash light and pepper spray in one compact, hand-held design. 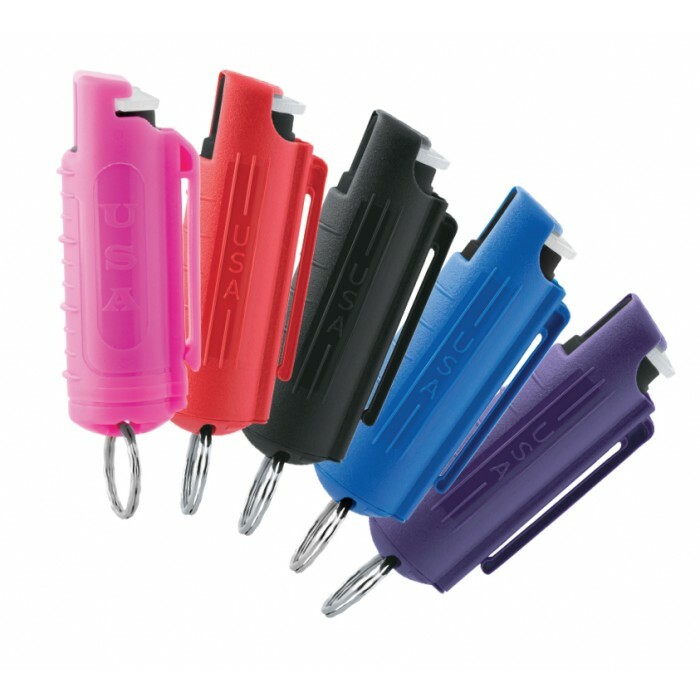 No need to decide which personal security tool is the best to carry when the one device combines all non-lethal devices in to one. 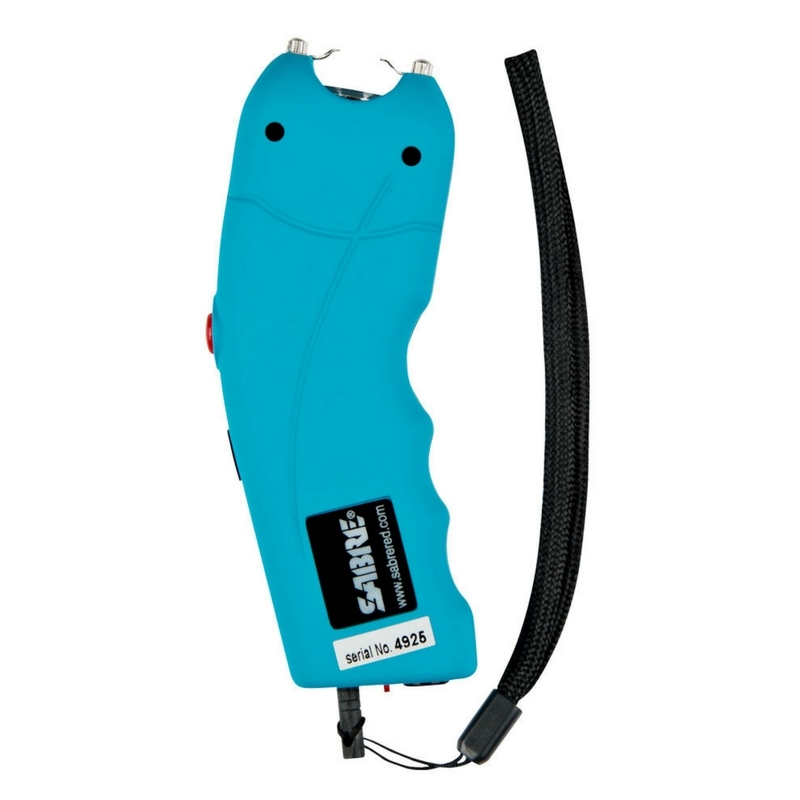 Single-hand operation allows the user to identify, stun and spray within milliseconds of reaction time in a high stress situation. 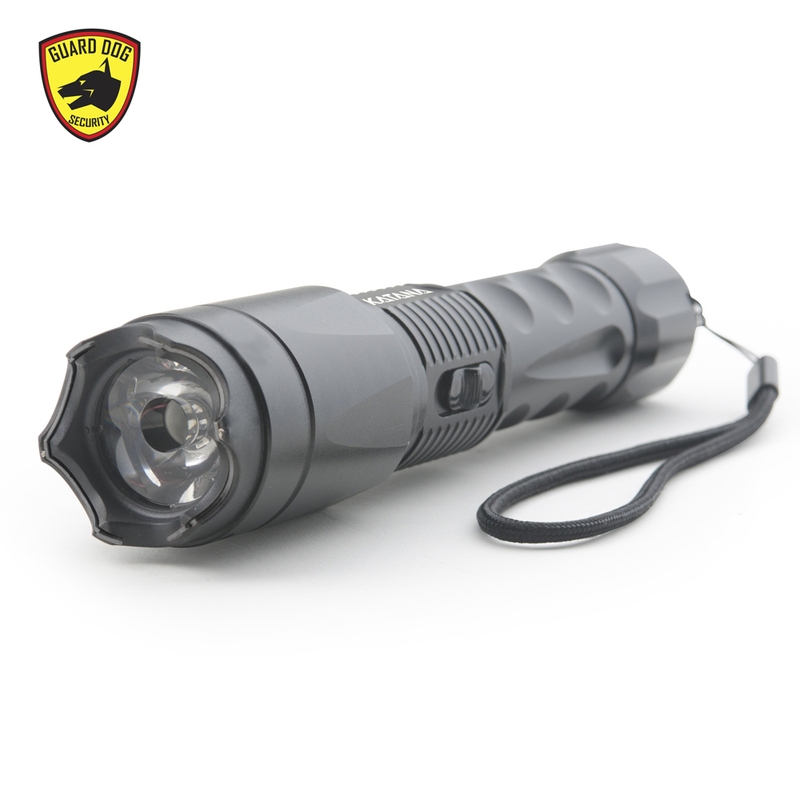 Identify with 175 lumens of blinding light with a beam distance of greater than 50 yards, ideal also as a daily use flashlight. 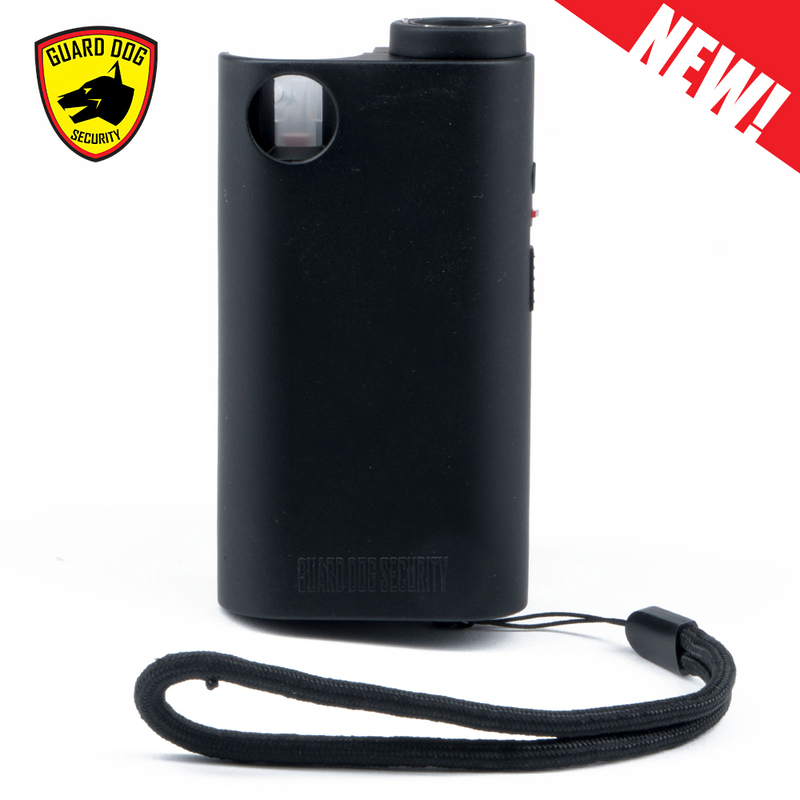 Stun in close proximity and for immobilization with Guard Dog’s concealed stun technology, hiding any visible or intrusive prongs. 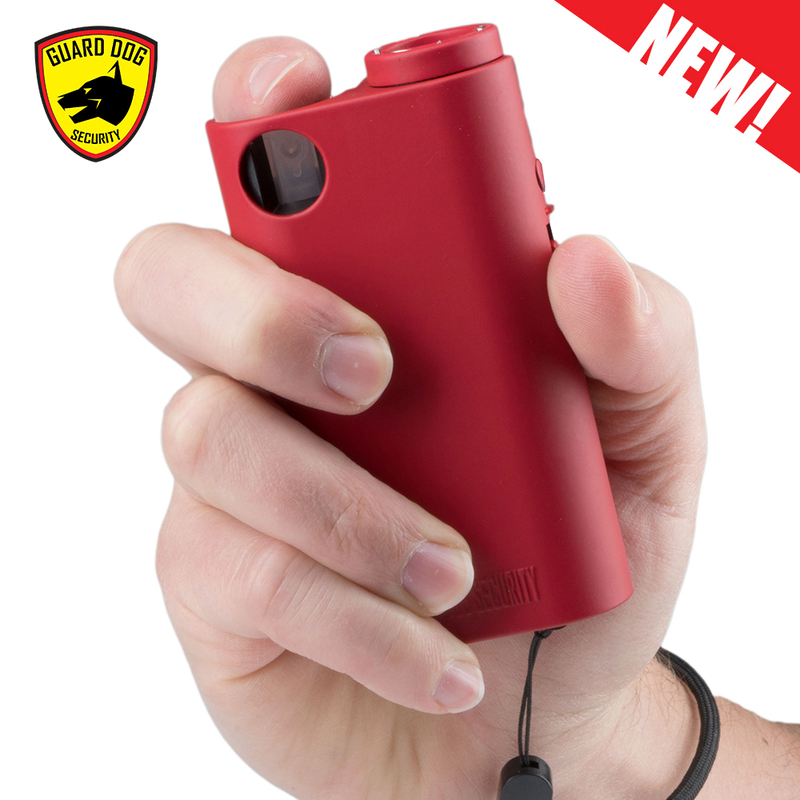 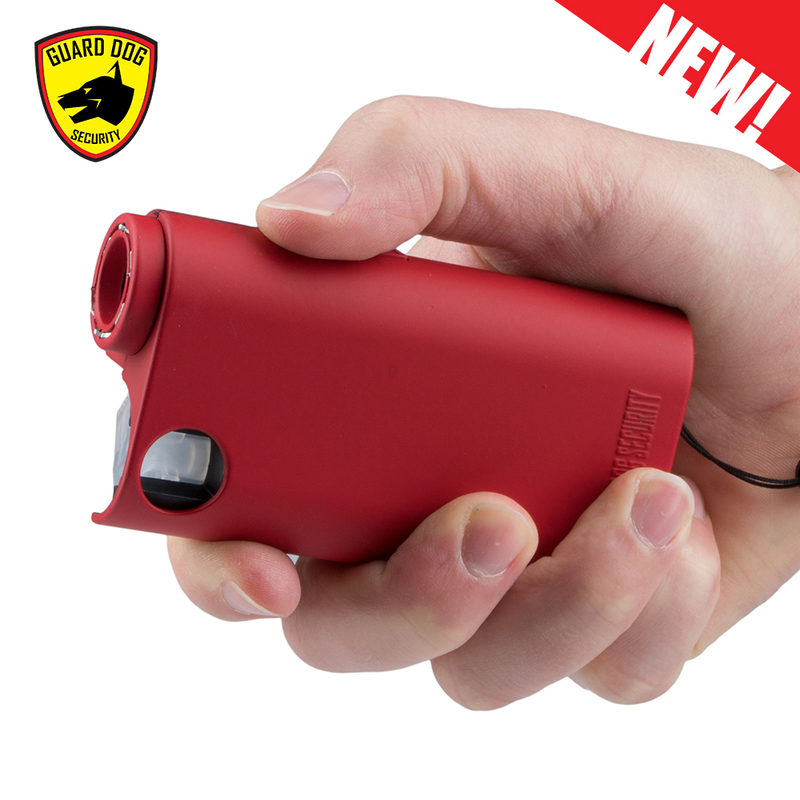 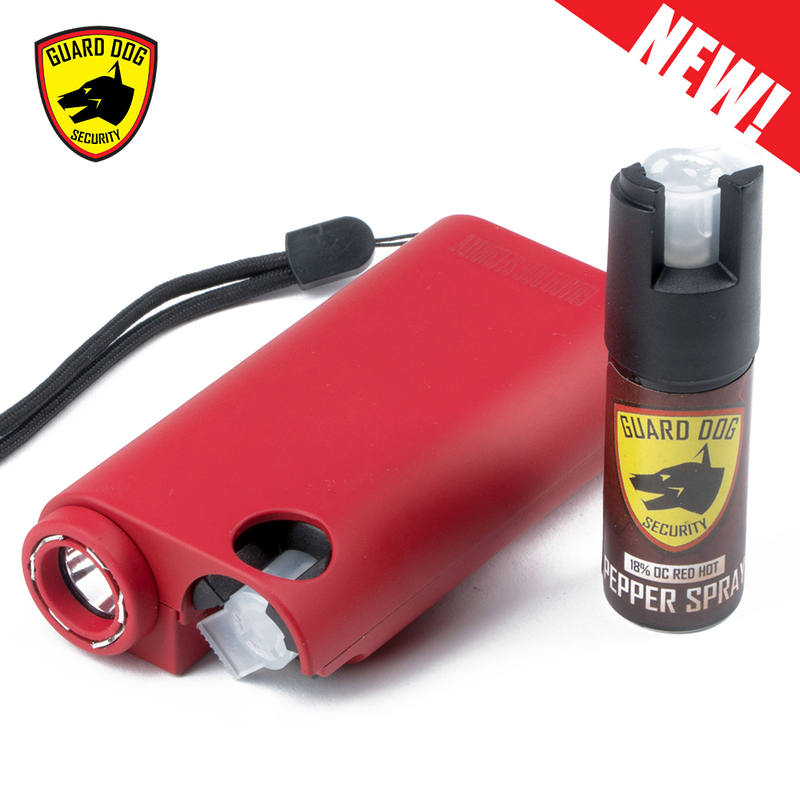 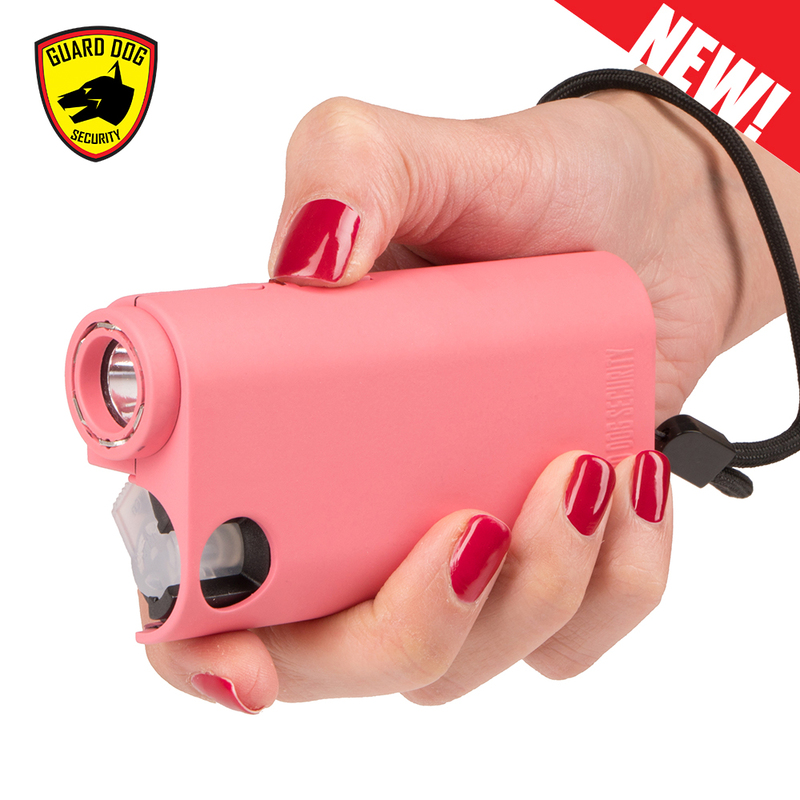 Spray with distance defense with Guard Dog’s red hot pepper spray, firing up to 16 feet away. 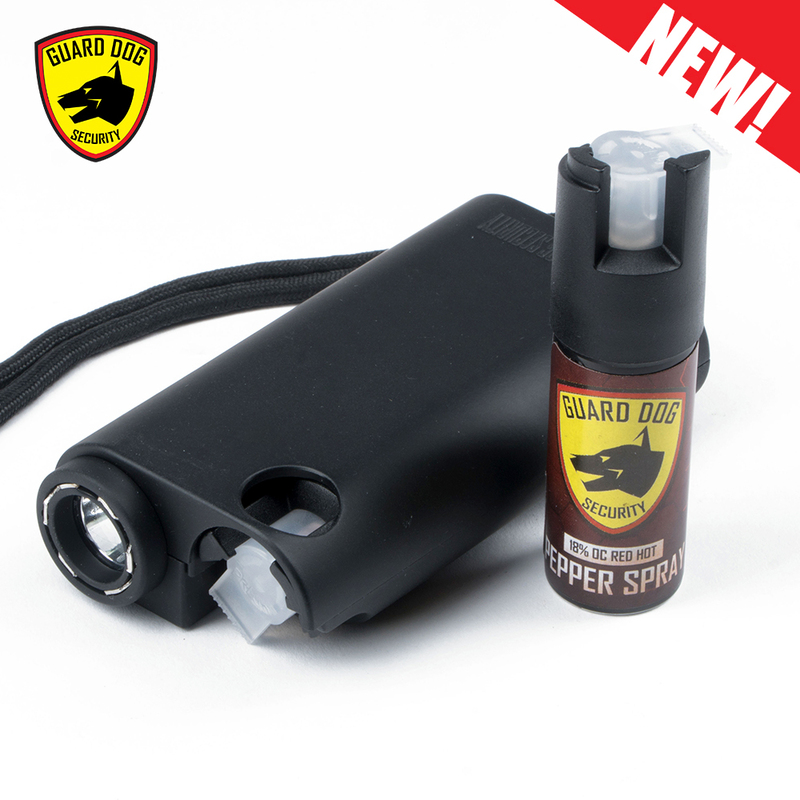 Equip yourself with a handy, compact flashlight that also tends to be the worlds most practical and all-inclusive personal security device, the Guard Dog Olympian.